A Burst of Sunshine to brighten their day. 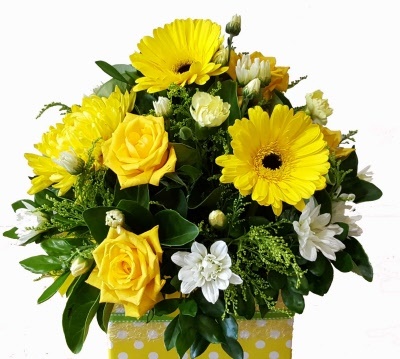 A Gift To Impress- a Burst of Brightness. Gerbras and roses bursting with light.